When buying or selling a business or commercial property, instructing a Solicitor is something that you will need to do in most cases and like in all professions, there are good and not so good Solicitors. At Bradleys Countrywide we feel that choosing a Solicitor is one of the most important decisions a Seller or Purchaser must make. In fact, to buy or sell a business or commercial property it is a commercial licenced conveyancer or solicitor that you would require, not a criminal, family or residential Solicitor as they do not have the specialist knowledge needed to progress a transaction through to completion in a timely manner and can end up being hugely expensive. Bradleys Countrywide have established a good rapport with many commercial conveyancers and below are a few that we feel are worth considering. Please telephone us before ringing them direct and we will be happy to provide you with the contact details of the Solicitor in the practice that will best suit your needs, depending on the type of venture and whether you are selling or buying etc. 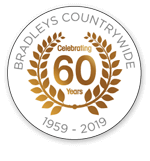 If you wanted Bradleys Countrywide to obtain you some quotes, please do not hesitate to contact us and we will happily contact various Solicitors on your behalf.